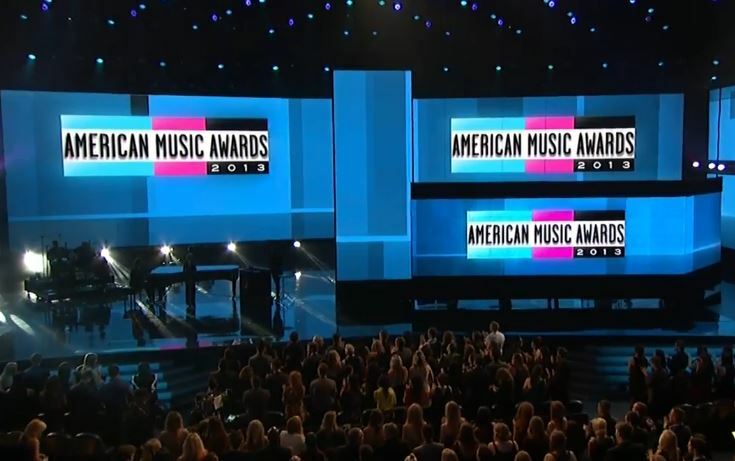 The 41st American Music Awards took place last night at the Nokia Theatre in L.A. The show saw a host of star studded guest perform including Justin Timberlake, Macklemore, R Kelly, Kendrick Lamar, TLC and more. Rihanna took home the first AMA Icon Award and Macklemore & Ryan Lewis took home Favourite Hip Hop album. TLC ended the show with Waterfalls with special guest Lil Mama performing Left Eye’s part. Check out the complete list of winners below along with some of the live performances.